I have to choreograph a dance performance based on a historical event that had an effect on the Australian people. It can be from the gold rush to the introduction of colour TV. I need ideas cause i do not want to be doing something that everyone else is doing. Think outside the box please. 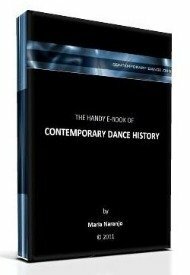 Comments for Choreography based on a historical event that had an effect on the Australian people. Topic ideas. PLEASE! I just pasted the following phrase in my browser's searchbox: 'a historical event that had an effect on the Australian people'. There's a long list of websites with historical data about Australia. I don't know what your classmates are working on, so I guess you better do the same as me and start reading what's available in the web. I'm sure you will find a lot of specific topics to make your choreography.